Mexico has the numbers, while Cuba has the mystique. They both have the simpatico from the President of the United States too. Meanwhile, Puerto Rico is sinking and shrinking and the love isn't there. What's up with that, Senor Obama and my global Latino brethren? How about my fellow Puerto Ricans with clout? What are they doing to advocate for economic assistance for our island? Marc? Ricky? Jennifer? Rosie? Where y'all at? When Trump made those annoying statements about Mexicans, both Ricky and Marc took to their stages and Twitter accounts to pound their Puerto Rican chests crying foul! But when the signs of Puerto Rico's economic collapse began to hit the news, not a coqui peep was heard from either one. 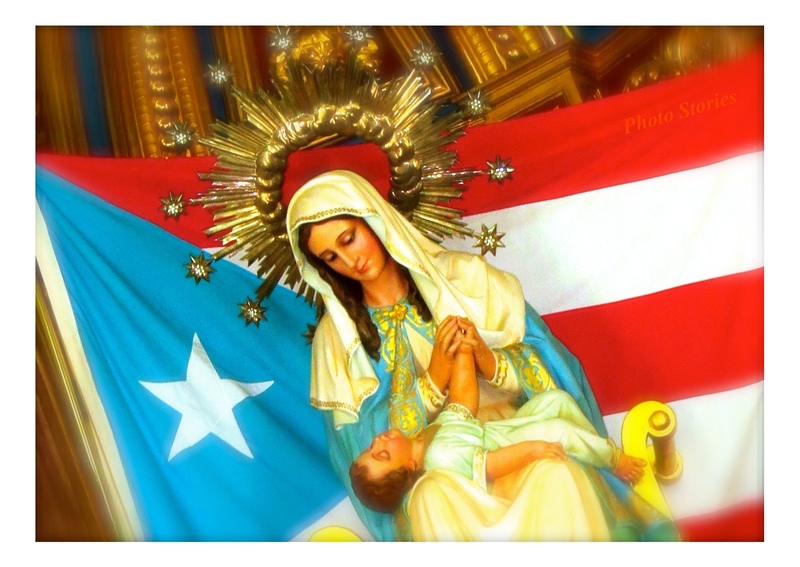 It pains me to call out my Boricua brothers about this (because I really do worship them like every other Boricua! ), but really guys, donde esta? And you, "Jenny from the Block?" Girl, whatcha' be doing that's more important than getting your Lopez Foundation to host an event for la isla when we know for sure that 50% of Puerto Rico's children live in poverty and go hungry every, single day. Rosie, my Boricua sister, you're the one to lead us, mujer! Now that you've left "The View," let's hangout and plan the revolution that's desperately needed in Puerto Rico. Seriously, I have PTSD just like you and I think the healing we'd bring to our island would be good for our souls and state of mind. I need my celebrity Boricuas to step up because, as usual, many of our Latino organizations claiming to be for all of us (ahem, National Council of La Raza! ), you guys don't seem to care. Fine. Pues, let's see how far you get on immigration reform at a time when the U.S. Congress and Presidente Obama continue to turn a blind eye to the plight of 3 million of it's own citizens -Hispanic and legal - currently living on the island. How about an anthem song? Mi gente, Donald Trump said something dumb and you raced to unite our people behind that song, "We're All Mexican." So now, how come we're not rushing into the studio (Marc, Ricky, Jennifer, Rosie?) to record a song for Puerto Rico. No disrespect, but we're not Mexican, we're Americans. Thus, imagine the impact a catchy and patriotic cantar could have in helping our people recover their lively-hoods, their homes, their jobs, their future and their pride. If it's better for your schedules or careers, we could also try the old-fashioned democracy way where we'd assemble 1 million Puerto Ricans on the national mall - all demanding that Congress and President Obama help Puerto Rico. I've been trying to get this idea off the ground for a couple of months now, but keep getting shut down because our collective psyche just feels so battered. I need one of you - ANY one of you - to step up and lead the charge. Boricuas will follow you and are hungry for leadership to help us finally resolve the challenges we have with our jefe, los Estados Unidos. Please give me a call if you can help, especially you, Ricky and Marc. You made time to help Mexico and their people. Now, what are you going to do to help your own? We Boricuas are watching and we need YOU. The situation is dire and we can't allow the greedy vultures to swoop in and gentrify our island. After so many years of being marginalized by the U.S. government, the least they can do for us now is to let our abuelitas y familias stay in their own houses on the island that we love. Boricua pride. Please help.